In 2006 Bethesda Softworks released Oblivion, the much anticipated fourth game in the massive RPG series The Elder Scrolls. Two years later, they came out with the third game in the FPS roleplaying Fallout series, which was also raved about even before its release. The two newest games in these role playing series have a lot of things in common, but which one has better stats overall? No spoilers here, but Oblivion’s many quest lines are much more involving and lead to much nicer perks than Fallout, especially compared to its somewhat disappointing final cutscene. 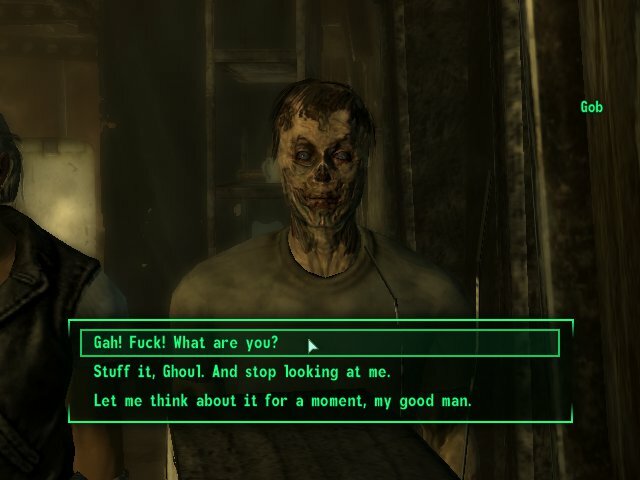 Fallout’s story is not without intrigue though; quests often involve more options based on your character’s ethics, such as the quest chain involving Megaton and its unexploded atomic bomb. The ethical system in Oblivion, based on Fame and Infamy points, has been improved with Fallout’s spectrum of Good vs. Evil. 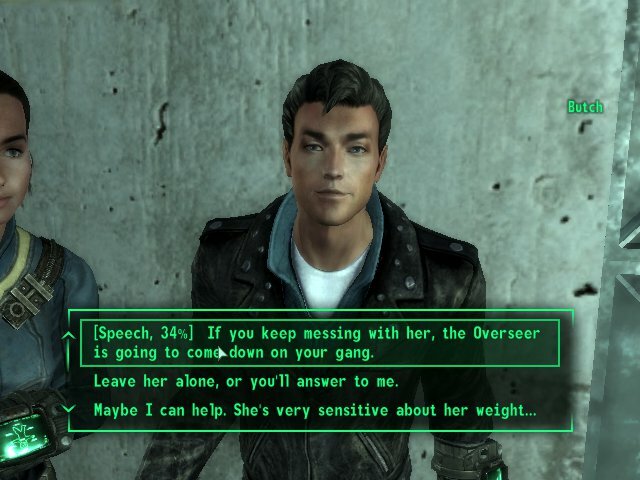 With dialogue, rather than having to play a simple Speech mini-game, Fallout’s options are based on a character’s morality and also stats, and, and there are often many hilarious exchanges possible with the survivors, which include children and zombies. A detailed landscape filled with creepy zombies, abandoned ruins, and strange creatures: this could describe either game, and both pull it off in different ways. Walking into a Necromancer’s lair in an Ayleid ruin can be as breathtaking as standing at the top of a mountain and watching the sunrise in Oblivion. Fallout’s post-apocalyptic ruins of the Washington, D.C. area are highly realistic, and at the same time the retro-futuristic 1950’s-inspired style gives us an interesting and highly detailed take on life after nuclear war. As an FPS, Fallout’s combat options revolve around gunplay and, to a lesser extent, melee fighting. The V.A.T.S. (Vault Assisted Targeting System) is a nice way to make every shot count, with the option of turning battles into somewhat more turn based affairs, kind of like bullet-time. Oblivion’s options are based on stealth, magic, and melee combat. Though the V.A.T.S. system makes battle a bit easier, combat in Oblivion offers more options to combine specialties without forcing any choices. 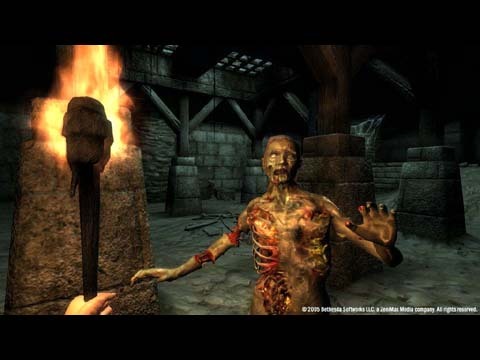 Although Bethesda has definitely tweaked some of the engaging elements that made their games great, there are still some features of Oblivion that have yet to be topped. 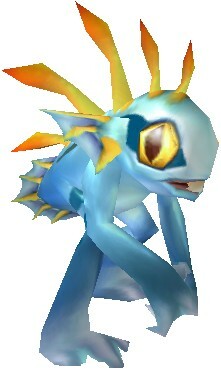 But whether or not you prefer fantasy and fireballs to zombies and Vault Boy, you’re still going to get sucked into a highly realized world where you have all the power.